This study aims at investigating the effect of computer- assisted language learning program on EFL Saudi students learning of English. The computerized program used was prepared by the researcher. The sample of the study consisted of 41 students randomly selected from Al-Riyadh Teachers' College and assigned to experimental and control groups. An achievement test was used to collect data from the students who participated in this research. The findings of the study indicated that using computer-assisted English language learning (CALL) has a positive effect on the experimental group students' achievement. Khalid Ibrahim Al-Nafisah. "Designing a Computer-assisted Language Learning(CALL) Program and Measuring its Effect on Saudi EFL Learner's Achievement in English. 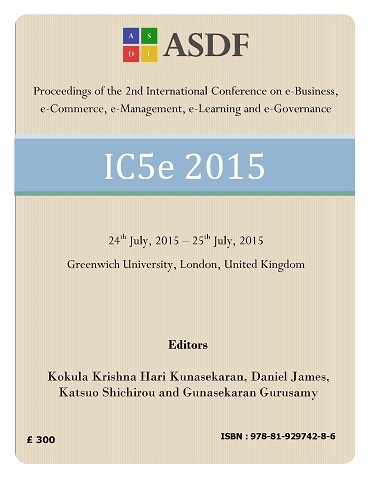 "International Conference on eBusiness, eCommerce, eManagement, eLearning and eGovernance (2015): 78-87. Print.